The CSUDH community and the public are invited to a reception for KOKO’s Neighborhood on Wednesday, January 30, 2019 from 5 p.m. to 8 p.m. in the University Art Gallery. In partnership with students from CSUDH’s PRAXIS Program, Yoshie Sakai has created the fourth installment of her ongoing video project KOKO’s Love, entitled KOKO’s Neighborhood. KOKO’s Love explores the everyday anxieties, fears, and joys of living, all depicted using the over-the-top tropes of the soap opera. In KOKO’s Neighborhood, Sakai introduces new characters from the community, all of whom are played by participants in the CSUDH PRAXIS Program. 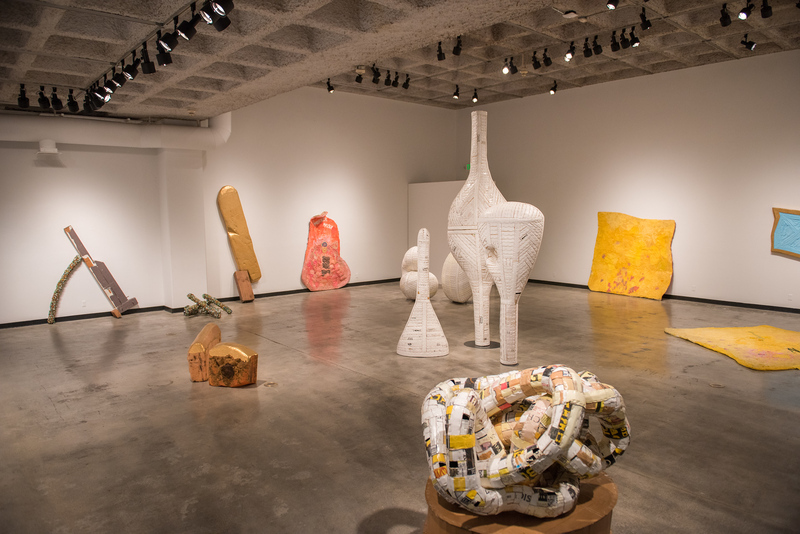 Sakai attended the Skowhegan School of Painting and Sculpture in 2014 and is a recipient of the California Community Foundation for Visual Artists Fellowship, a 2018 Foundation for Contemporary Arts Emergency Grant and the 2018 inaugural bar-fund Artist Grant. Her work has been shown throughout the United States in film festivals and art exhibitions from Los Angeles to Miami, as well as internationally in Phnom Penh, Cambodia and Victoria, Canada. She received her BFA from California State University Long Beach and her MFA from Claremont Graduate University. PRAXIS is CSUDH’s extracurricular, cross-disciplinary art engagement program. The primary goals of Praxis are to activate public space, enhance local culture, and create expanded dialogue about art and design in the local South Los Angeles communities. Praxis brings artists, designers, students, and community members together to explore the history, social conditions, neighborhoods, and storylines of South Los Angeles. Hours: Monday through Thursday, 10 a.m. to 4 p.m. and by appointment. Location: The University Art Gallery is on the first floor of LaCorte Hall, LCH A-107. LaCorte Hall is on the west side of campus, off Toro Center Drive/Tamcliff Street.